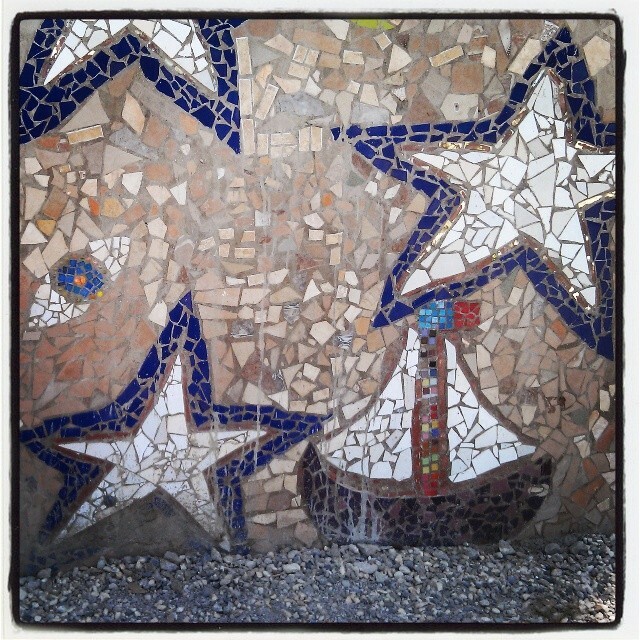 When people think of Haiti, they think of Port-Au-Prince during the earthquake. Port-Au-Prince is one giant mess. The traffic is indescribable, it smells horrific, and there is a lot of poverty everywhere. The good news is that Port is one city in the whole, entire country. We already blogged about the magical city of Cap-Haitien, but there is another city that is just as magical. Way back in 2010, we first laid eyes on Haiti. It was only three months after the earthquake and things were still crazy sad. Even then, however, Jacmel felt special. Fast forward four years and up the special level by at least a hundred and you’ve got Jacmel today. 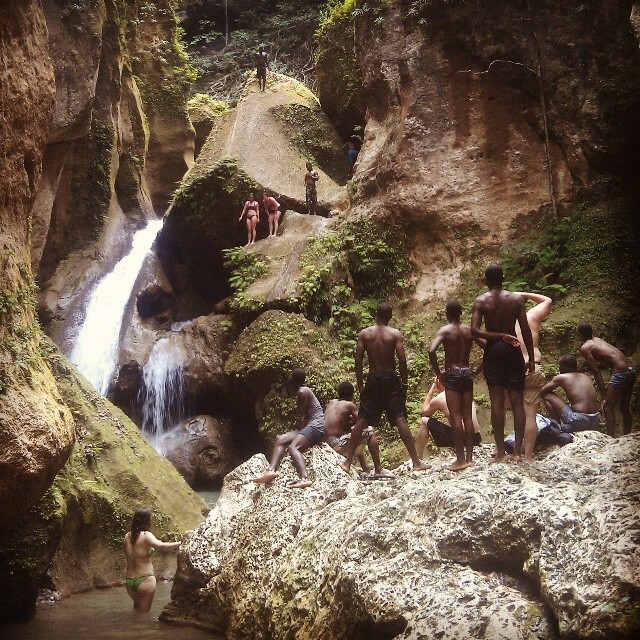 Side note: If you don’t want my whole “why Jacmel is magical” thing then skip to the summary at the end. 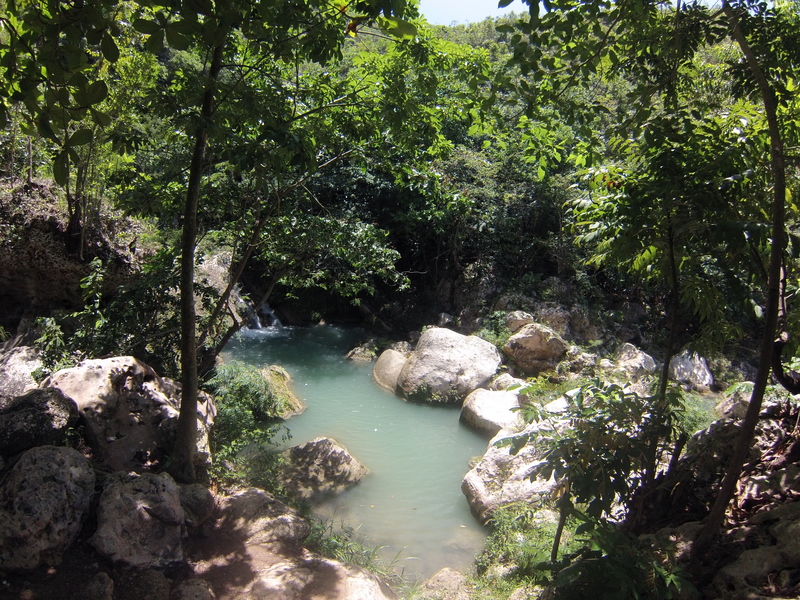 Port-Au-Prince can get you down for sure. 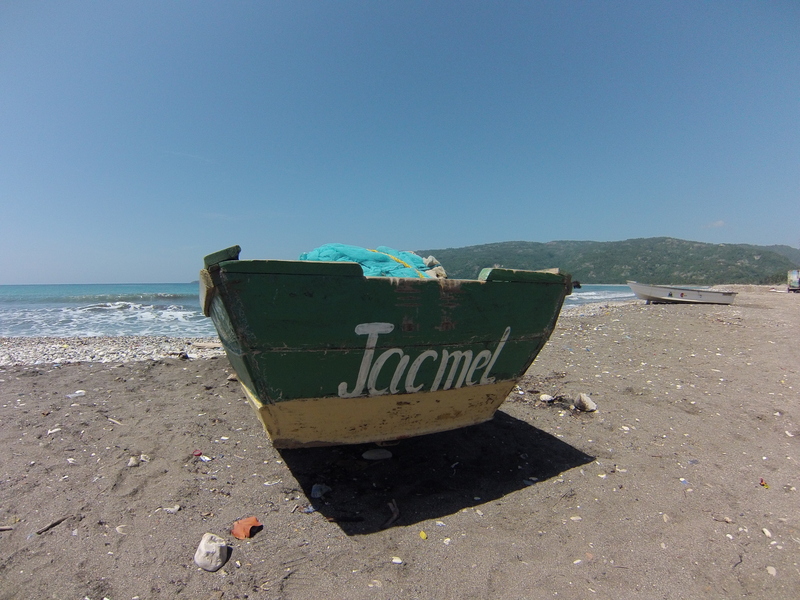 Then you go to Jacmel and you swell with hope for what Haiti could be. There’s a lot of development going on, including this artsy little boardwalk. 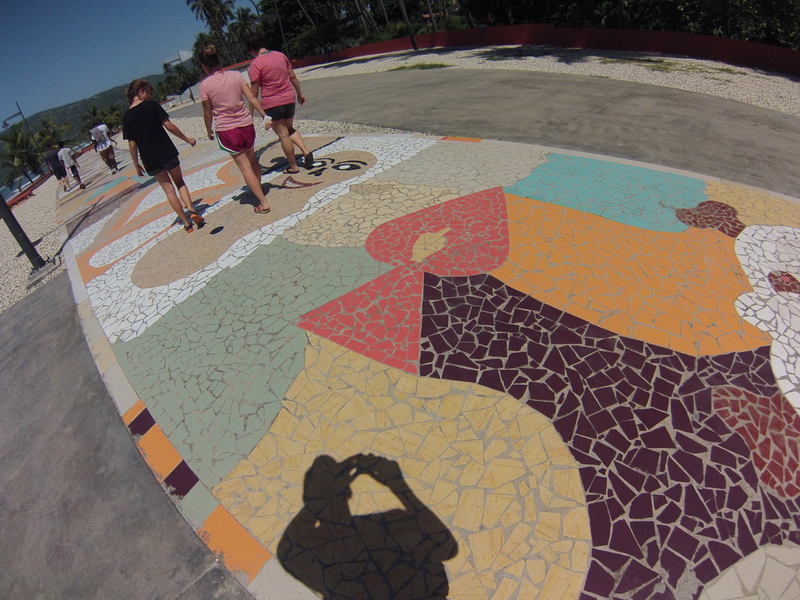 Jacmel is an extremely artsy town. If Haiti had hipsters, they’d live in Jacmel. 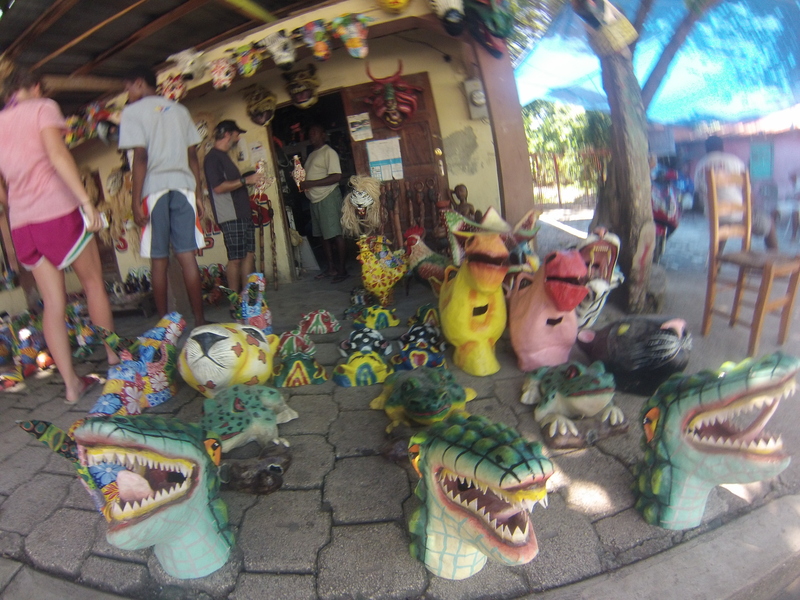 It’s is famous for it’s paper mache art. 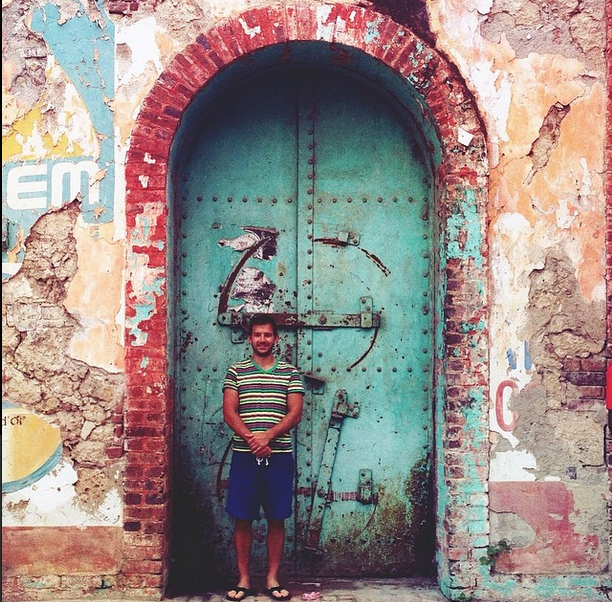 Our good friends Josh & Chandler run an artisan coop called Haiti Design Coop. 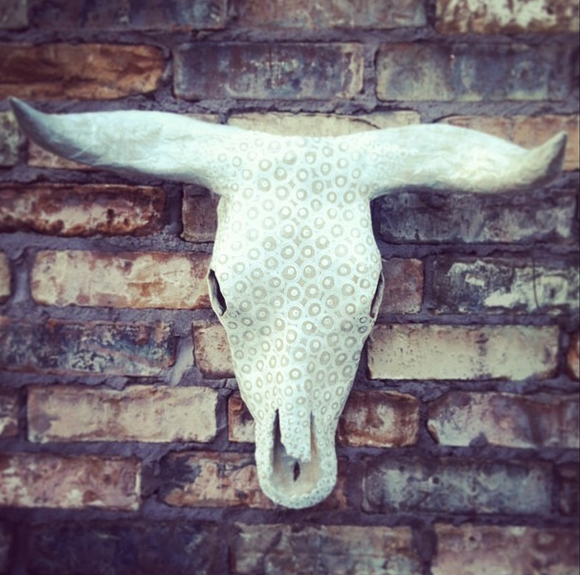 They work with a paper mache artisan from Jacmel who makes cow skulls. There’s a lot of talent going on in this town. It’d definitely a town where you can spend the afternoon walking the streets, visiting artisans, and hanging on the beach. The downtown beach is what you would expect. The boardwalk is lovely, but it’s a little trashy. If you want a good, clean beach – head east about 15 minutes. There are some hotels and public beaches down that direction that are excellent. We used the beach just past Hotel L’Amitie where there are a few bungalows and some tables. The bungalows are available for rent. We were told $50/night for 4 people. They are simple, but clean and have fans. The restaurant and beach there is great so I’d recommend it as a hang out spot for sure. 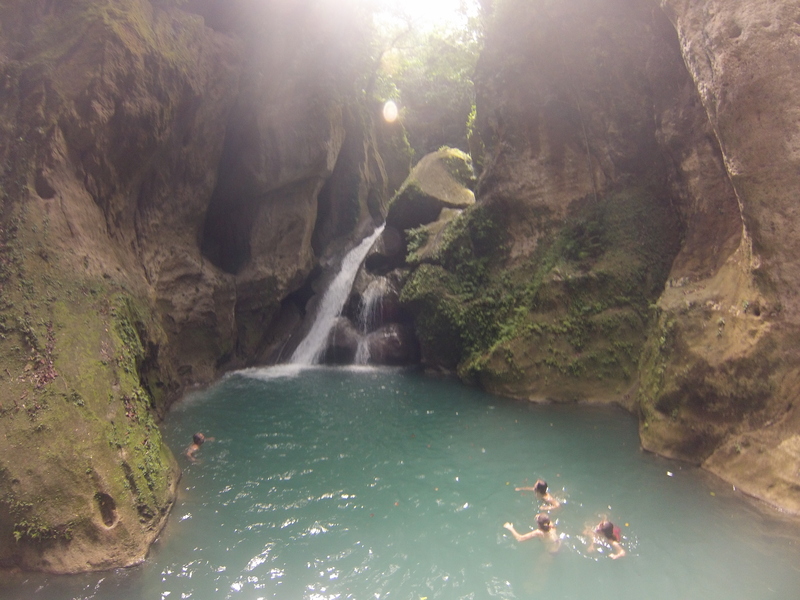 The one thing you absolutely have to do, hands down, is Bassin Bleu. I mean, this is real life, ya’ll. Getting there is a big adventure. These are – honest to God – the best directions I can give you. Head west from downtown any way you can toward the river bed. Cross said riverbed. If you aren’t sure about crossing puddles/the ACTUAL river just wait and watch motos go through or ask if your car will make it. People are helpful. Once you get through the river, ask where Bassin Bleu is. There are a million small roadways through the river bed. People will have to just point you in the right direction. Once you reach the tree line there is a sign. Follow the road up and there are signs the whole way! There is a little building once you get there and you’ll have to pay 100 gourdes per person to visit. You’ll also have to pick out a guide that you’ll need to tip at the end. You pass a few small pools and waterfalls on the way. The guides are helpful and informative and will point everything out and help you get across. The final trek requires half climbing down a boulder with assistance from a rope and the guides. Once you get down, though, you get some breathtaking views of the basin. 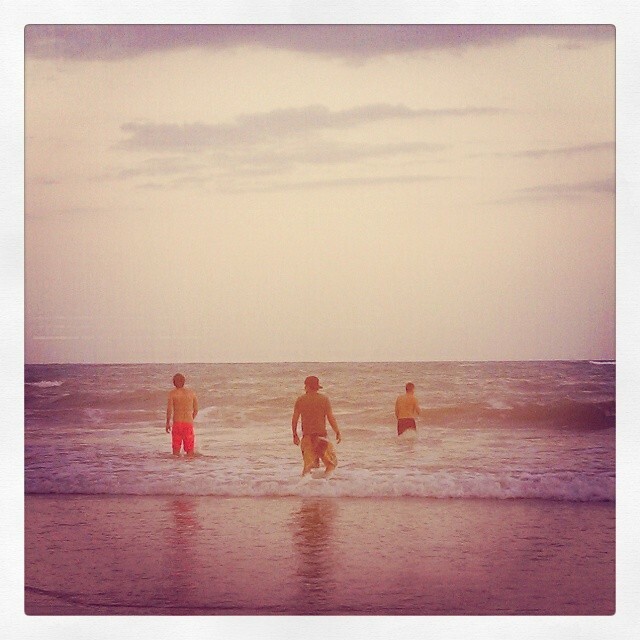 The water is freezing and suuuuuper deep. Haitains will tell you all about the zombies and mermaids that live at the bottom. It’s deep enough to do some serious cliff jumping. Funny story – in 2010 I tried jump from the top. I got up there and froze. NOTHING could have made me jump off that cliff and the more I waited the worse it got. Finally, Josh climbed up and shoved me off the cliff rescued me. 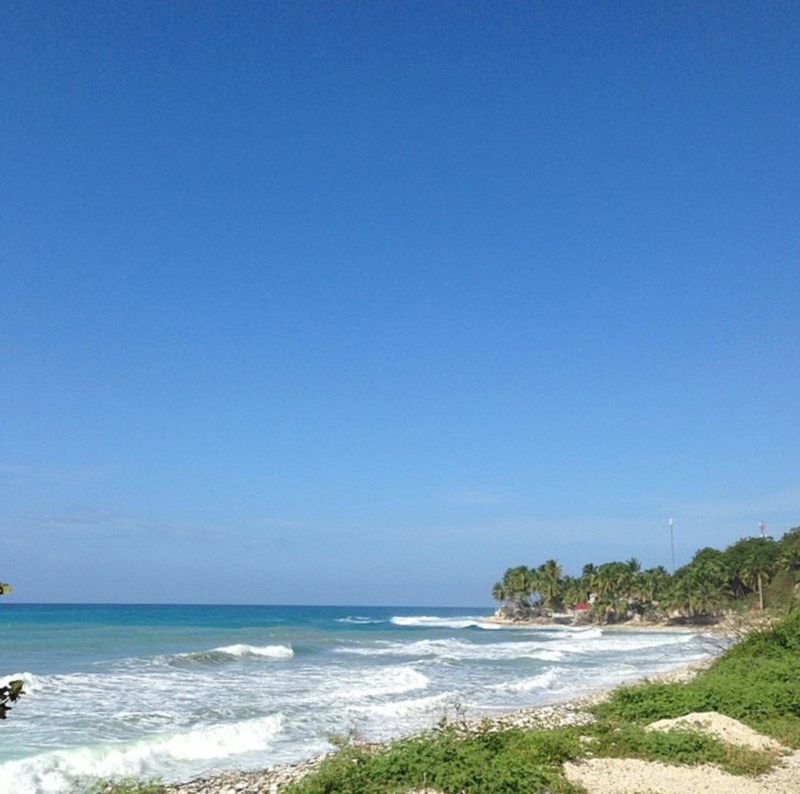 Summary: Here’s a brief overview of what we loved about Jacmel. I’m only including what I’ve experienced, where I’ve stayed, etc. but there is plenty more! Hotel L’Amitie – We stayed here for $57/night including breakfast. It’s right on the beach. The rooms are super simple but clean. There wasn’t a working phone at the time so we had to stop by and ask about rooms and pricing. Hotel Cyvadier – This place rocked. We stayed here for $67/night including breakfast. It’s back in a cool little cove with a small beach area. The grounds are fantastic and the rooms were nice. Hotel Florita – We didn’t stay here but we did hang out a bit. It’s amazing. You have to stop by just to grab a drink. It’s in an old historic building downtown and it feels like the sort of place Hemmingway would get drunk at and write. Hotel Kabic Beach Club – We tried to stay here for $110/night but our reservation got mixed up. It’s nice, right across from the beach, and the owner is super sweet. Jacmel Pizzeria – This place is downtown within walking distance of Florita and the boardwalk. They have pizza, Mexican, and a good breakfast. Madame Barbeque – this place is very Haitian. Right at the entrance to Hotel Cyvadier there is a small building that says “Cyvadier Market”. Madame BBQ is there. It is delicious! Don’t be intimidated or nervous. She grills barbeque chicken and a plate comes with fries and a salad for $5. You can run in the little market and grab a drink. Hotel Florita – The food here was fine. Limited menu though. Go for the atmosphere. Bungalows on the Beach – These bungalows are right down the beach from Hotel L’Amitie. DELICIOUS food and drinks. 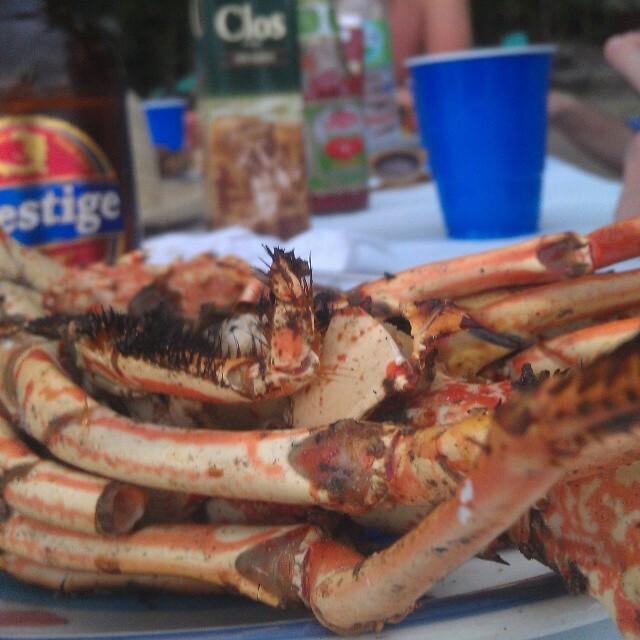 This is the place to go for fresh seafood. The Vatican – This is hands down one of the coolest bars I have ever been to ANYWHERE. Here is the problem. I don’t know how to tell you to find it. Maybe that adds to the awesomeness. 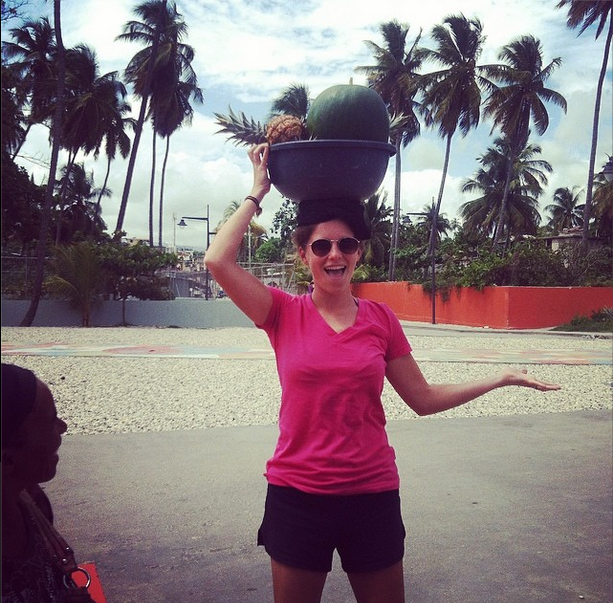 It’s downtown near a park and close to the Jacmel market. It’s stuck between two buildings so have fun trying to locate it. 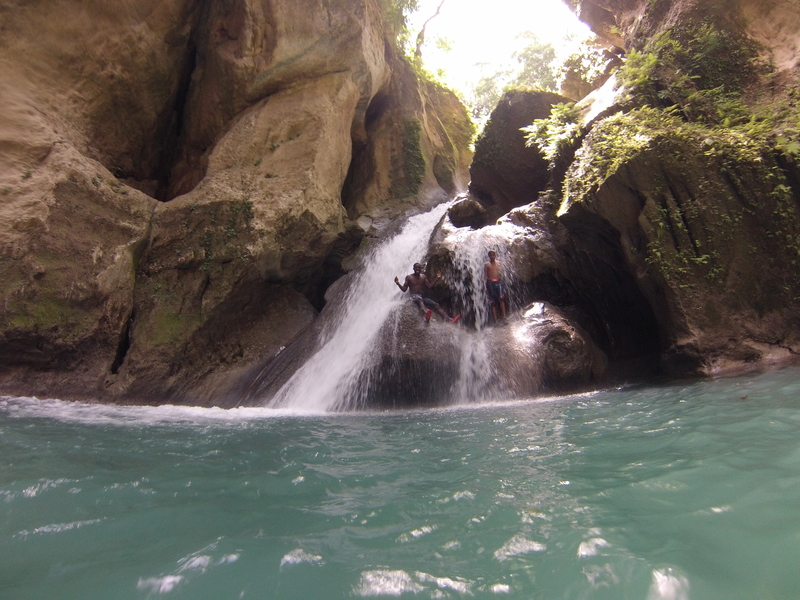 Categories: Haiti, Life, Uncategorized | Tags: adventure travel, art, bassin bleu, beach, cliff jumping, Haiti, haiti art, haiti design coop, How to get to Bassin Bleu, Jacmel, jacmel haiti, Jacmel tourism, paper mache art, travel, where to stay Jacmel | Permalink.